So much has been going on lately! 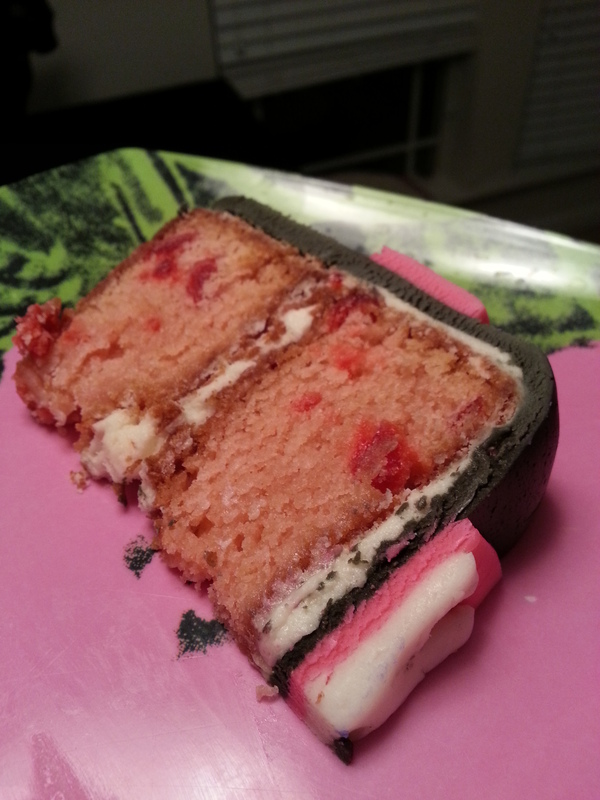 In my last post I wrote about the marshmallow fondant I made and since then I made a ton more and decorated a cake! It was done just for fun and not for anyone or anything in particular but it really turned out awesome! I made a cherry almond cake via this recipe and made my own vanilla buttercream to crumb coat. 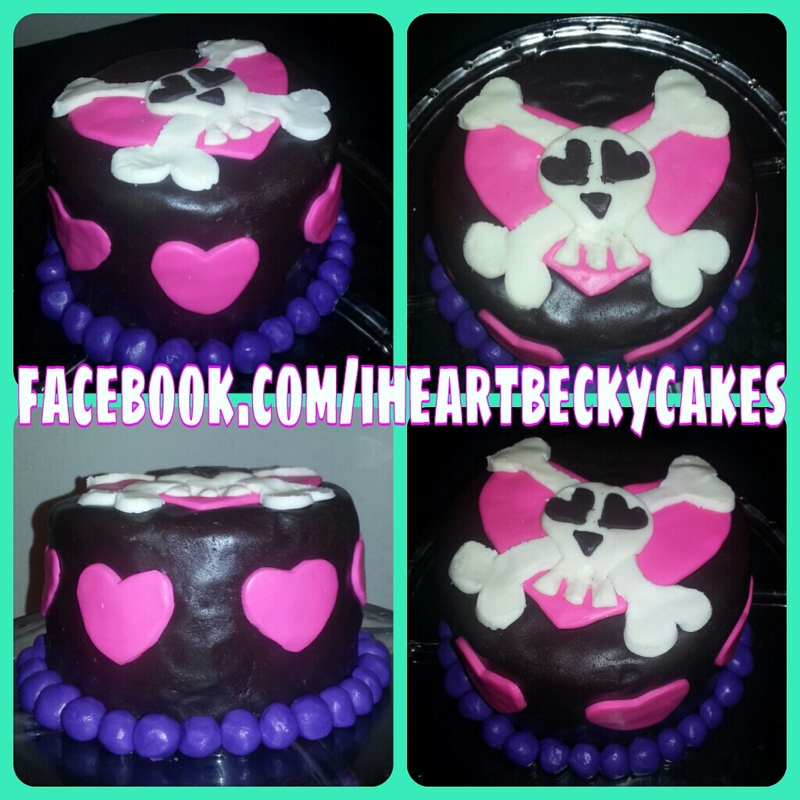 I let it sit for a day before I was able to make the fondant and decorate so it was good and ready to go. The cake turned out a bit heavy for me but had a nice flavor and my hubby loved it! The chunks of cherry mixed in really made it. Can’t wait to make some more!